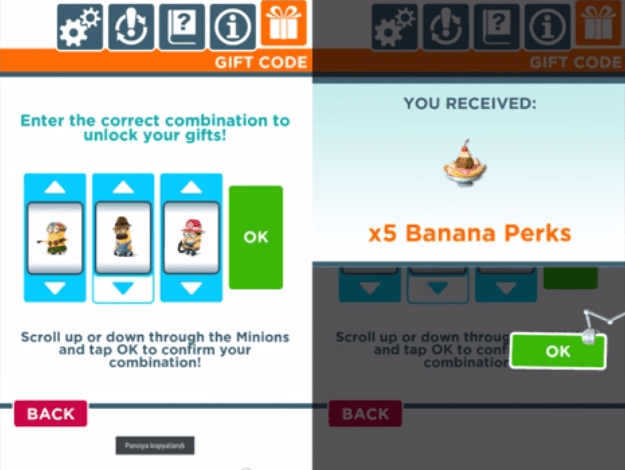 Minion rush is a game for iOS and Android that came out to promote the release of the new up and coming movie about the Minions themselves. It’s a game that plays similarly to a lot of games, probably most notable is Temple Run. You automatically run in one line and then you have to swipe to change change direction, duck or jump and that’s about it. We’ve provided here some cheat codes for Despicable Me: Minion Rush to enable you to get the most fun out of the game, either after you’ve finished or to enhance your experience on your first go round. 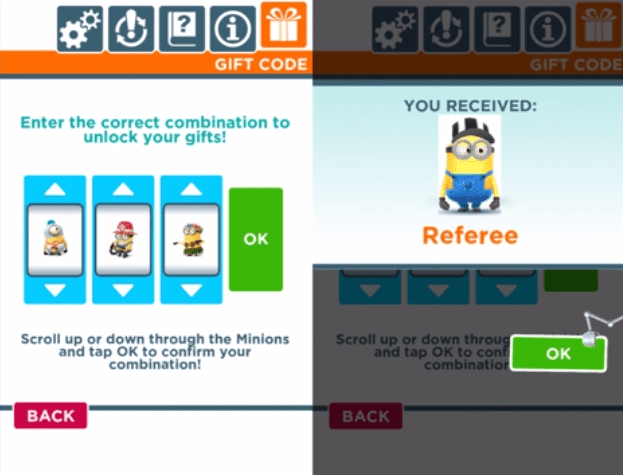 Use the Knight Minion + Fireman Minion + Hula Minion to get a FREE Referee minion costume! Entering the Fireman Minion + Golf Minion + Normal Minion will give you the Kung Fu Taunt! Enter the Hula Minion, the Moustache Minion and the Firefighter Minion to get 5 FREE Banana Perks! Put in the Golf Minion + Knight Minion + Mustache Minion to unlock the Laughing Taunt! Entering the Maid Minion, the Hula Minion and the Knight Minion will give you a x5 Score Perk!